Really cool description of agenda section goes here! You are cordially invited to take part in the Valentine festivities at the SLS South Beach. Valentini is going on its 3rd year to unite Miami's single professionals through fun activations. This is an invitation only event. Join us on February 14th for the third edition of our singles & couples party, Valentini, an exclusive evening of new encounters and cocktails at Hyde Beach at SLS South Beach presented by DISC. We have teamed up with Select, Perchance App, Get Around, and our amazing sponsors to bring back the magic of Valentini, all for the chance to ignite the power of LOVE & CONNECTION. 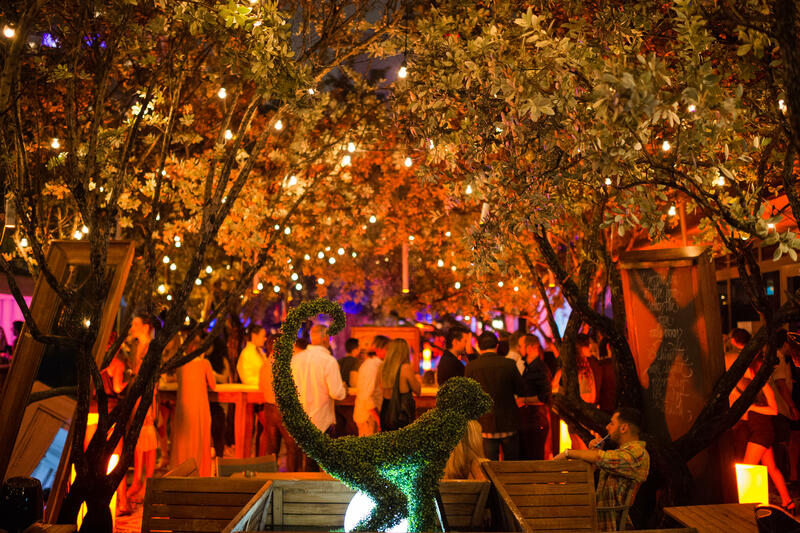 The unforgettable evening will unite Miami’s top-notch singles by infusing speed dating and networking through a series of activities that allow guests to connect on a deeper level. We have a special guest performance, live art painting and a surprise show for all our guest. Let's just say we are going above and beyond for this one. Valentini promises not to be your typical Valentine’s night. The invite-only experience will be curated entirely with connecting in mind. The menu will feature Valentine’s Day inspired food and cocktails. The room will be curated with incredible art from the Jason Perez Art Collection paired with activations like the Perchance Speed Dating Session, Kissing Booths, VR activations, Tarot Reading, and a live Art performance to top of the night. Enjoy this and more on February 14th, 2019. Love is in the air but also Giving back, last year we fed 10k kids from this event through Kids Against Hunger. This year we want to spread the love and feed 15k kids. Grab your tickets today and we'll see you there! Welcome to Valentini presented by Disc at Hyde Beach at SLS South Beach. Check in, grab a drink and get ready for special night of connections. This is your opportunity to make that lasting impression. We've created a fun new twist on speed dating alongside Perchance App for professional singles to strike up conversations based on their favorite activities and passions. Download before the event @ perchanceapp.com so you can reconnect with someone who made your heart beat! We have some special surprises in store for you, so don't be late bc it has to do with energy, music, fashion and art! The whole night leads up to you meeting someone special. The energy doesn’t need to stop. Seize the opportunity and lets continue the convos as Dj UZO takes stage. Raise your Disc and drinks as we go into the night! This ticket grants you free access to the Valentini before 9pm. After 9pm there will be a $10 donation that will go towards Kids Against Hunger Charity to feed 15,000 kids. This ticket will grant you access to Valentini anytime. Come early or late, its up to you. The $10 donation will go directly to Kids Against Hunger so we can feed 15,000 this year. Thank you! Perchance App users will get complimentary entry before 10pm by showing the app on their phone at check in. Also grants you immediate access to the speed dating session.